Return customers are the foundation of restaurant success. Not only do they provide a steady stream of business, but they also act as mini marketing agents each time they bring a new friend to dine with them or recommend your restaurant to an acquaintance. In fact, a study done by the National Restaurant Association in the United States found that “repeat customers [are] integral to success.” Whether your restaurant is well-established or brand-new, maintaining a loyal customer-base should be one of your top priorities. If you’re struggling in this area, or simply want to increase your current percentage of return clientele, here are a few ideas for how to keep customers coming back to your restaurant. Here’s how. A loyalty program is perhaps one of the more obvious and traditional ways to encourage repeat business, but it is an enduring system because it works. Customer services and experience expert Shep Hyken confirmed the effectiveness of these programs in an article he wrote for Forbes as recently as March 2017. Nowadays, it’s all about customer convenience so stay away from those traditional punch-cards everyone loses and start a digital loyalty program. With so many POS systems now offering integrated loyalty programs as part of their software, it’s easier than ever to set one up. All customers love feeling special and getting a little extra something for free. It’s less about the financial discount in these situations and more about making the customer feel special and valued by your business. If you notice a customer is returning regularly and bringing new guests, send a round of drinks or an amuse bouche on the house to show how much to appreciate their business. A small gesture like this won’t soon be forgotten and will go far in developing long-term customer loyalty. Supporting local industries such as microbreweries, small farmers, and independent musicians will help build the reputation of your business in the community. By connecting your business to the infrastructure of the community, you’re establishing your restaurant as the go-to place for locals. Developing this sense of community in your neighborhood will make customers feel at home in your restaurant and will keep them coming back again and again to support you in the same the way you support the area. Providing entertainment is a great way to bring in customers of all kinds, but it’s particularly helpful in incentivizing customers who haven’t visited in a while to start coming back. Offering live music, a wine tasting event, or an exclusive tasting menu will motivate customers who already love your restaurant to make an effort to come out and dine with you again. Keep a record of customer preferences, allergies, and even birthdays in your reservation system. 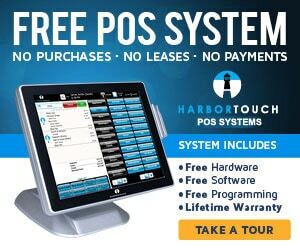 Many POS systems and restaurant management systems have features that are now able to integrate these records and provide notes directly to the server before the guests arrive. This allows the server to anticipate the guests’ needs and accommodate any special requests with ease. Customers will feel that you’ve gone the extra mile and will be delighted by the superior level of service. This type of customized guest experience is guaranteed to build loyalty with your clientele. Your social media presence is an excellent way of connecting directly with your customer base and staying at the front of their minds even when they aren’t in your building. Post pictures of your daily specials to entice customers to return or use social media to promote special events and deals. By staying in front of your customer as much as possible, they’ll be thinking of your restaurant first when planning their next night out. As much as customers love going back to a restaurant for their favorite dish, it’s also important to balance a roster of staples with new and inventive dishes. Changing up the menu will encourage old customers to keep coming back to sample the chef’s latest innovations. Changing a few menu items seasonally or offering different specials every day is a way of ensuring your customers never get bored with your fare. Good food and good service are essential to the success of any restaurant but, to survive long-term, restaurants need to focus on actionable steps they can take to build customer loyalty. While a loyalty program or entertainment schedule may take time to implement, there are also many steps you can take today to start building that repeat business. Revive your business’s social media accounts, start keeping track of your customers’ preferences, and choose someone special to gift an extra glass of wine this evening. With these strategies, you’ll soon see your customers coming back again and again. Stephen is the founder and lead developer of Restaurant Den a restaurant website design and marketing firm that helps turn website visitors into loyal customers. Restaurant Den is focused on helping restaurant owners from all over the world improve their online presence through fully managed mobile friendly WordPress website.